1In a small saucepan mix together the heavy cream, sugar and orange zest. Stir gently until sugar is completely dissolved, about 5 min. Over medium heat bring the mixture to boil then add the saffron treads and the mango juice. Let it cool completely. 2In a smal bowl add the milk and sprinkle on top 1 tablespoon gelatin. Leave it to absorb for a minute then stir well until it dissolves. Once it’s done add it to the mango-saffron mixture, stir well and strain it through a fine mesh sieve. 3Pour the mixture into glass dessert cups. I like the vintage champagne glasses. 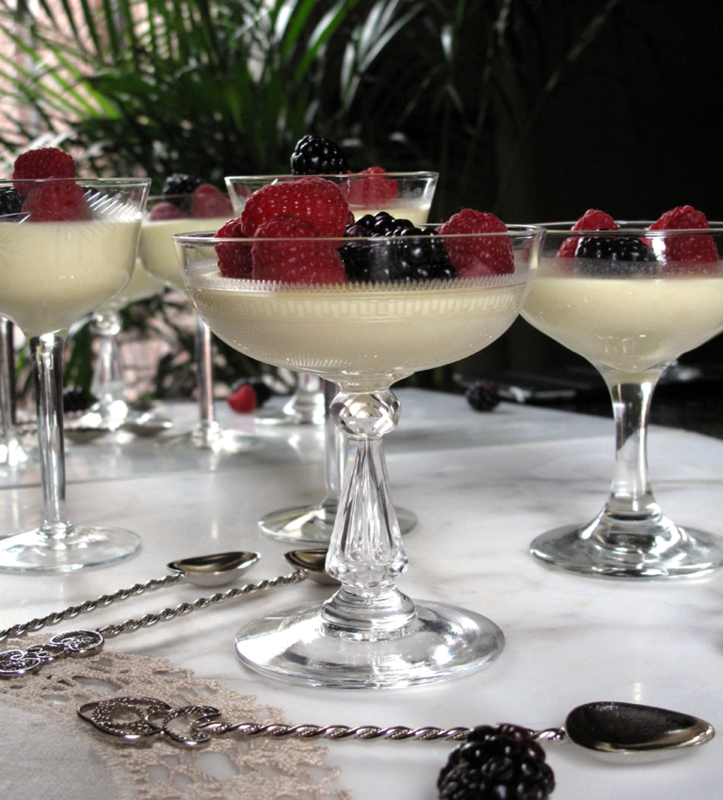 The beautiful etched glasses enhance the delicate taste of the desert. 4Place them in the refrigerator. Garnish with fresh berries before serving.